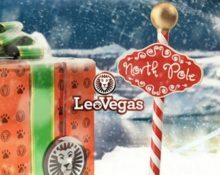 Leo Vegas – Christmas Party! Join in for a share of €300,000 in daily offers, prizes, cash and more! Expect again only the best surprises for this festive season at LeoVegas. 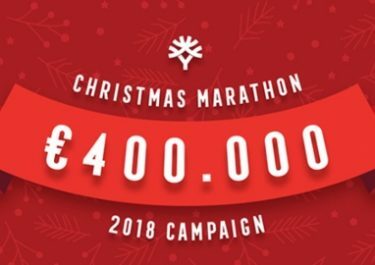 Join the count down to Christmas in true LeoVegas style with daily festive offers and prize draws, a Christmas Live Casino giveaway with cash, prizes and a Rolex watch, a weekly Christmas leader board race filled with €10k and the ultimate, a New Year €150K Countdown. ‘Tis the season to be jolly! 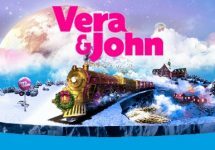 Get ready to count down to Christmas as Leo Vegas has launched their intergalactic festive campaign. And they are outdoing themselves again by raising the total prize pool €300,000 in daily offers, cash and prizes such as iPhone X’s and Rolex watches. As usual this is no simple offering as the campaign is again a multi-layered promotion for each part of their casino. Coming from a new destination each day from 1st to 25th December 2017, players can look forward to daily festive fun where cash, Free Spins and much more are waiting to be won. Wagering requirement for Free Spins is 35x FS winnings, subject to the LeoVegas Casino Bonus Terms and Conditions. Earn 1 ticket to the prize draw for every €50 wagered on Secrets of Christmas, Merry Xmas, Jollys Gift, Ho Ho Tower, Fruit Shop Christmas, Flowers Christmas, Holiday Season, Santa, Taco Brothers Saving Christmas, Dazzle Me, Fire Joker, Golden Fish Tank and Wolf Gold. Draw will be held on 4th December and winners published on the campaign pages as well as notified within 72 hours. 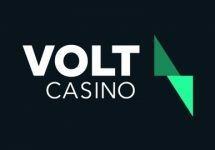 Winning players will receive a value code to the LeoVegas prize site where they can claim their prizes or a cash alternative. The last random draw will be on Monday, 25th December 2017 at 17:00 CET at the Celebrity Blackjack table, where one player will win a Rolex. Choices are either a men’s model – Rolex Submariner Date – Oyster 40mm – Stainless Steel – or a women’s model – Rolex Oyster Perpetual – Date 34 – Steel and white gold, silver dial. A cash alternative of €6,000 is available. Earn 1 point towards the leader board for every €1 wagered. The TOP100 players who wager most in a week will share the cash prize pool with prizes ranging from €10 – €1,500 in cash, credited with no wagering requirements within 72 hours. The daily races start on 27th December 2017, please check for a separate article that we will publish in due time. Launched in 2012, the casino is operated by LeoVegas Gaming Ltd. under license from MGA Malta and the UK Gambling Commission. The website is offering a huge selection of games on desktop, mobile or tablet from NetEnt, 2 BY2 Gaming, Bally, Barcrest, Betsoft, Big Time Gaming, Cryptologic, Elk Studios, Fantasma, Genesis, Genii, IGT, Inspired, iSoftbet, JustForTheWin, Lightning Box, Merkur, Microgaming, Nektan, NextGen, NYX Interactive, Odobo, OGS, Play’N GO, Playtech, Push Gaming, Pragmatic Games, Quickspin, Realistic Games, Scientific Games, Thunderkick, WMS and Yggdrasil Gaming. The Live Casino tables are provided by Evolution Gaming, Extreme Live Gaming and Netent Live.